School And Study Tours to Poland - Polish Tours & Travel Agency - Greetings from Poland! This section of our offer is dedicated to school or university teachers, looking for a ready-to-go programs for an educational trips to Poland or Central Europe. Tour programs presented below are especially prepared for groups not only interested in Polish, but also in European history. 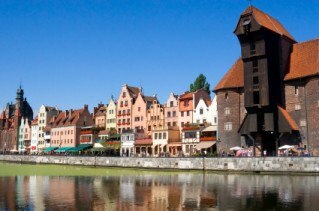 Although our study tours to Poland programs include only tourists attractions in Poland, we can extend any tour program according to your suggestions and expectations. Our tour programs and services have been tried out by groups from UK, South Africa and Sweden. Don’t hesitate to contact us with your requests or questions regarding our offer of study tours to Poland!